Road trips besides having a certain charm enable people to explore a country or a place differently. If you are planning to add road trips to your bucket list, we are here with some help. Following are some of the most amazing drives across the globe that you can consider for making your upcoming road trips unforgettable. Icefields Parkway, aka Highway 93, is a 230-kilometer long highway. Located in Alberta, Canada, the scenic highway links Lake Louise with Jasper. 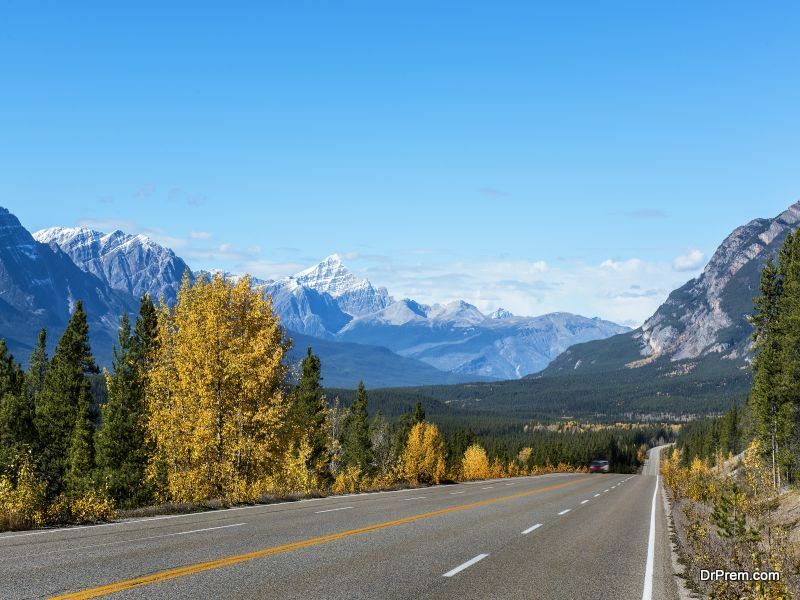 Driving through it is a superb way to witness Canada’s national treasures while passing through the two (Banff and Jasper) National Parks. The landscape rich in history and natural beauty offers unforgettable experiences to travelers. At an elevation of 1,607 m above sea level, the Col de Turini is a mountain pass through the Alps. It’s a series of narrow hairpin turns and is considered as an adventurous drive in summers and dangerous and challenging during winters. 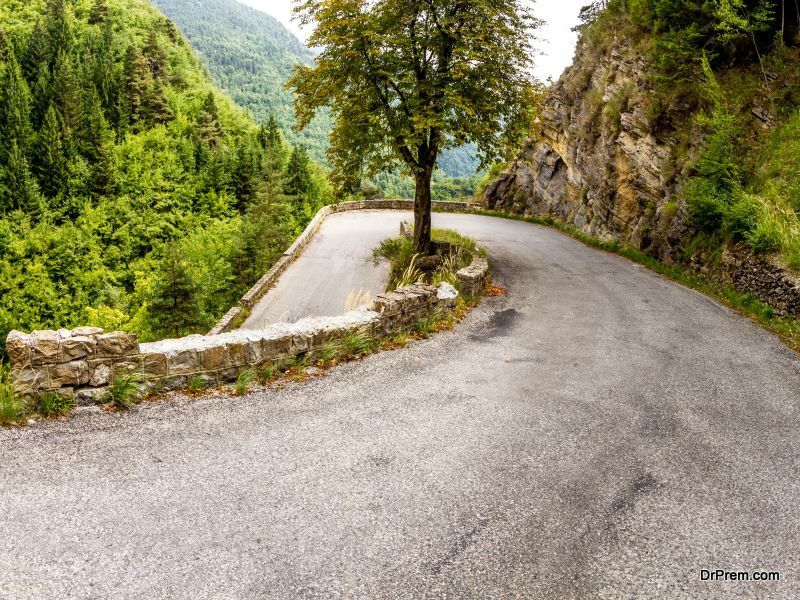 Despite the challenges and difficulties involved, Col de Turini with its beautiful terrain attracts hoards of drivers addicted to the adrenaline rush. 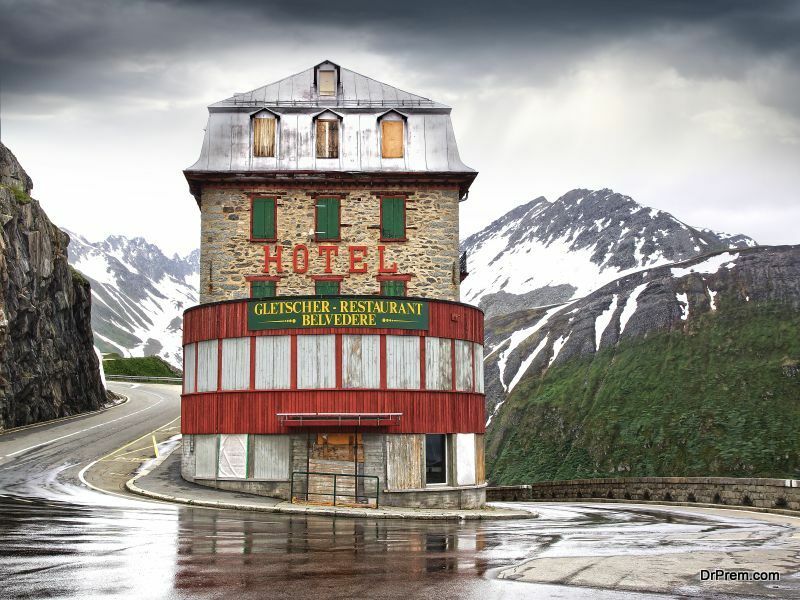 Another mountain pass that is an ideal combination of beauty and adventure is the Furka Pass in Switzerland. Situated at a height of 2.431 m (7,976ft) above the sea level, this incredible road is recognized world over, for its iconic and exhilarating drive. Linking Andermatt in the Canton of Uri with Gletsch in the Canton of Valais, it is the fourth highest paved pass in Switzerland. If you desire to witness greenery, snow-capped mountains and picturesque hills while driving; you must set out on this beautiful road trip. 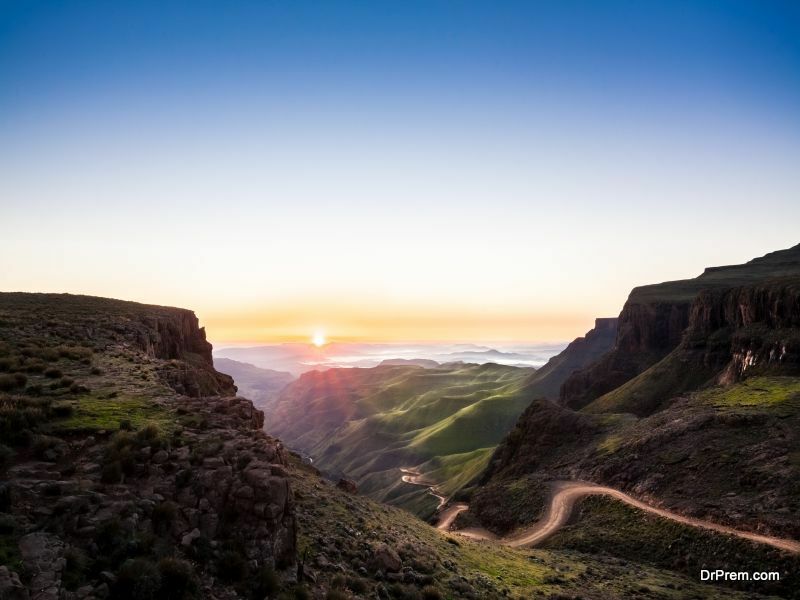 Sani Pass is the most iconic of all the South African mountain passes. The challenging drive is situated between KZN and Lesotho. Bad weather, treacherous conditions and unmatched scenery altogether makes Sani Pass a sought after drive for adventurous drivers. If you think you can deal with the unpaved mountain road well, you can set out on this adrenaline-pumping journey. 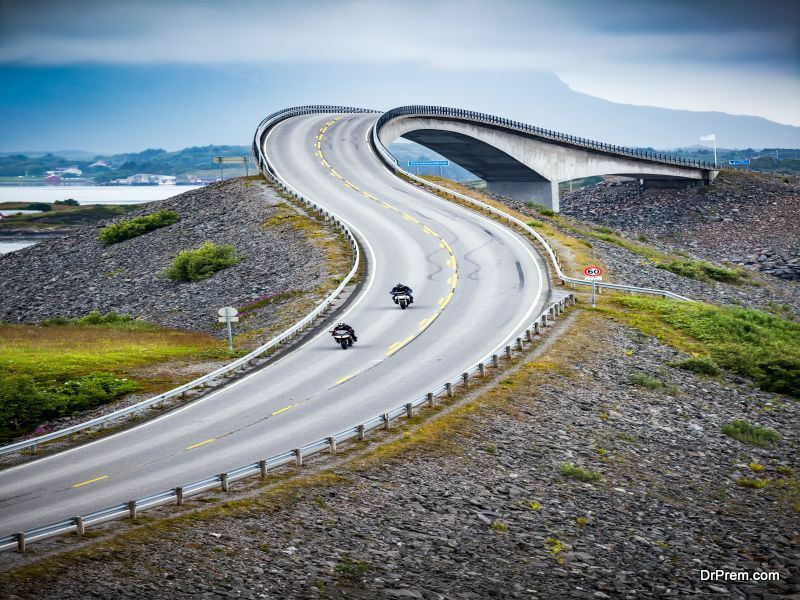 If you are on a lookout for one of the most amazing road trip in the world, you can certainly consider the Atlantic Road, nestled in the mid-west part of the Norwegian coastline. A part of the Norwegian national road 64, it is close to the cities Molde and Kristiansund. This spectacular road is a popular tourist attraction in Norway. Both tourists and the local population visit Atlantic Road for witnessing its breathtaking location and for fishing. One of the bridges of the road has been designed especially for fishing. Adept at making road trips unforgettable, there are some incredible roads across the globe. The challenging and beautiful drives are sure to satiate adrenaline junkies. Don’t be a victim of Online Fraud!